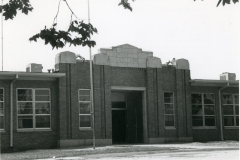 A building of at least ten classrooms, the Wetumka Central school is a single story, rectangular (203′ x 52′) structure constructed of light red brick laid with a running bond. The roof is flat with parapets, although over the front and rear sides it extends out to form eaves. The metal casement windows are placed principally in threes. The entryways are recessed and decorated with pilasters and roof cornices. The stylistic allusion is distinctly art deco. To the west rear of the building has been attached a classroom and auditorium addition; it does not, however, infringe upon the architectural integrity of the structure. The school building is important because destitute farmers and oil field workers in the Wetumka area found work opportunities and a measure of economic security when it was constructed. The modern design of the structure, especially the expansive windows, created a new environment conducive to learning. 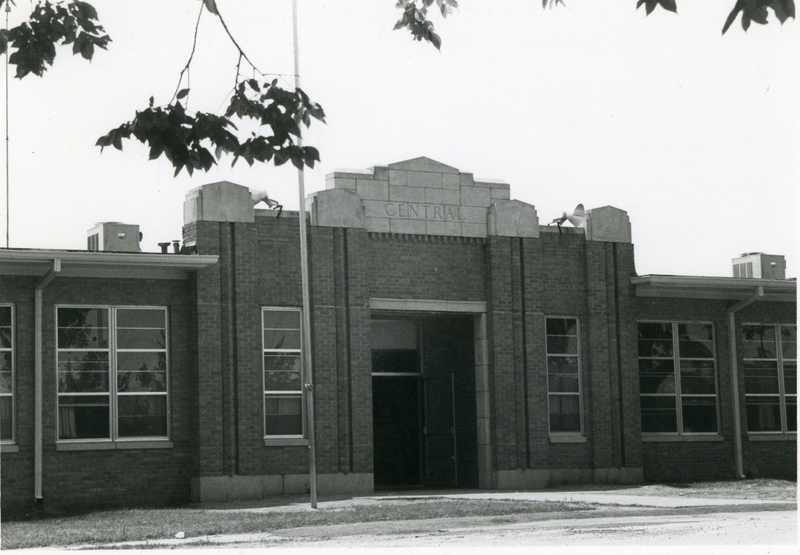 As a WPA school building, the structure is notable for its stylistic allusion to art deco, its brick construction material, and its scale. 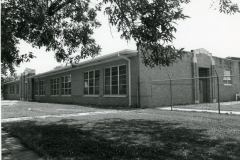 It suggests the relative “prosperity” of urban school districts as opposed to those in rural areas, and within the community it is unique architecturally because of its style and workmanship.